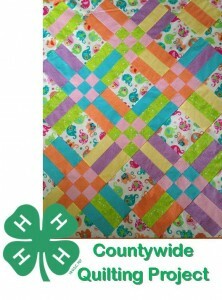 4-H Quilt Project members who do not have a club quilt project leader participate in educational and sewing meetings. Beginners learn basic quilting equipment, quilting terms, use of the sewing machine and make 1-2 projects. Experienced quilters work on a project that builds on their previous quilting knowledge and skills. 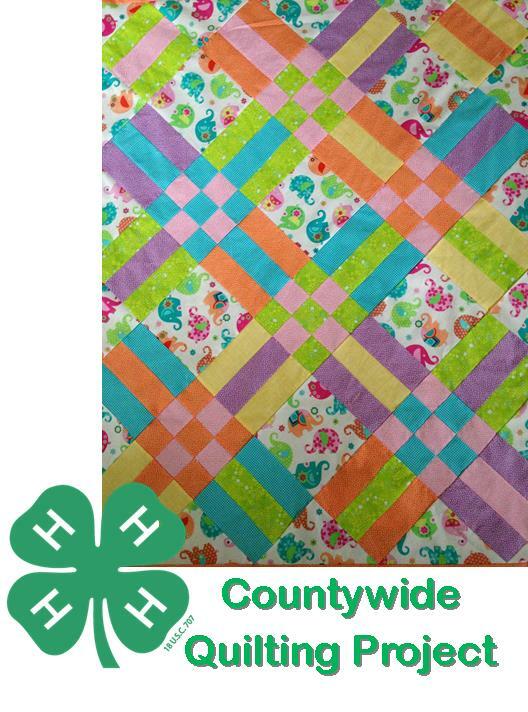 The 4-H Quilt Project has rotary cutters, mats and rulers for beginners to use while learning how to quilt. Grades: 3rd grade and above with sewing experience including knowledge of machine basics and sewing accuracy on straight stitches. Also, safe use of rotary cutters is required. Equipment Needed: Sewing machine and list of supplies which varies for each project.